Cellnique is hosting a blogger contest and they invited me to participate because some of you nominated me as your favorite blogger. Thank you so much! It's like whoever creates the Cellnique related blog content that is the "most viral" will win an all expenses paid trip to Malaysia! 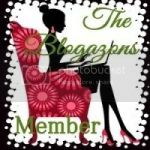 My chance of winning is very slim since many great blogger participated in it too! Thank you for always supporting me! 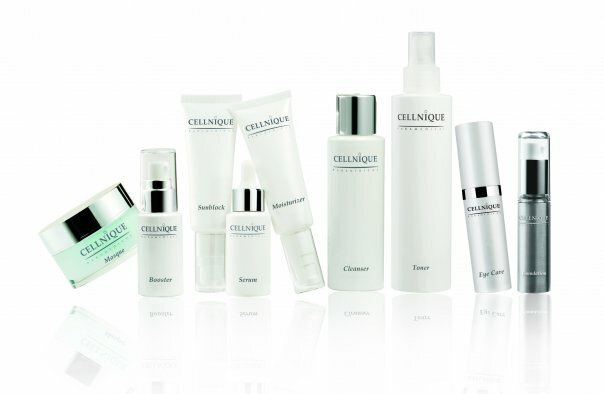 Cellnique Paramedical is driven by a passion to pursue flawless and perfect solutions, not only with regard to provide the most professional and result-driven skin care products, but also aim to set new benchmarks in skincare salon industry, and promote a vibrant, confident and healthy lifestyle for both our business partners and users. All Cellnique Paramedical products are infused with Cx Formulation. This advanced in-clinic formulation combines the power of biologically active ingredients, natural plant extracts, antioxidants and a bio-active delivery system, offering immediate and visible results for various skin problems. I was sent their Soothing & Hydating Lotion and Derma Brightening Complex to review. Want to know what I think? Stay tune! This unique complex lotion consist 14 types of plant extracts to calm sensitive prone skin. It helps to refresh tired skin and replenish skin moisture - spray anytime you wish to. This is a hypoallergenic formulation excellent for all skin types. Purified Water (Aqua), Witch Hazel (Hamamelis virginiana) Extract, Propylene Glycol, Citric Acid, Methol Crystal, Hydrogenated Castor Oil, Mountain Arnica (Arnica montana) Extract, Pot Marigold (Calendula officinalis) Extract, Lemon (Citrus medica limonum) Extract, Ginger (Zingiber officinale) Root Extract, Burdock (Arctium majus) Extract, Rosemary (Rosmarinus officinalis) Extract, Ivy (Hedera helix) Extract, Scots Pine (Pinus sylvestris) Extract, Sage (Salvia officinalis) Flower Extract, Watercress (Nasturtium officinale) Extract, German Chamomile (Chamomilla recutita) Extract, White Deadnettle (Lamium album) Extract, Garden Nasturtium (Tropaeolum majus) Extract, Methylparaben, Propylparaben. When you see the lotion in this bottle, you would assume it's a facial lotion but in face this isn't. In Asia, lotion actually means toner. My face was a bit dry on the cheek area a few weeks ago and I am glad that I got to try this toner. This toner soothes out the dryness on my cheek and it's much better now. The toner really refreshes my face after cleansing. The first time I spray this toner on my face, I absolutely hated the smell. The fragrance is like natural herb, which it really is when I saw the description and the ingredients list. This consists of 14 different plant extracts. Beside the herb smell, I really like this toner and will use it when I have dry skin. It would make a great fall/winter toner! Formulated with liposamal Willow Bark Extract and Vitamin C, this strongly-effective yet gentle formulation works excellent on skin discoloration, dull and uneven skin tone, restores skin’s luminous glow without provoking any skin irritation or peeling. Unprecedented clarity radiates from within. Apply after cleanser, toner, eye care & serum. This is a whitening serum that can help you even out skin tone and dull complexion on the face. The smell of this serum is like natural herb but still smell so weird to me. It's not an awful fragrance but not a good one either. The texture of this serum is like a runny honey and the consistency is not that thick. After I apply to my face, a bit of stickiness still resides in my face. After using this for almost two weeks, I find that my overall skin complexion does look more even but I still don't see much of the whitening effect. I hope to see the brightening effect in the next few weeks. I love that this brightening complex absorbs in my face quite fast. You only need about two drops for the entire face. Overall, my experience with this product is good and I'll keep you updated if this really brightening up your face or not. 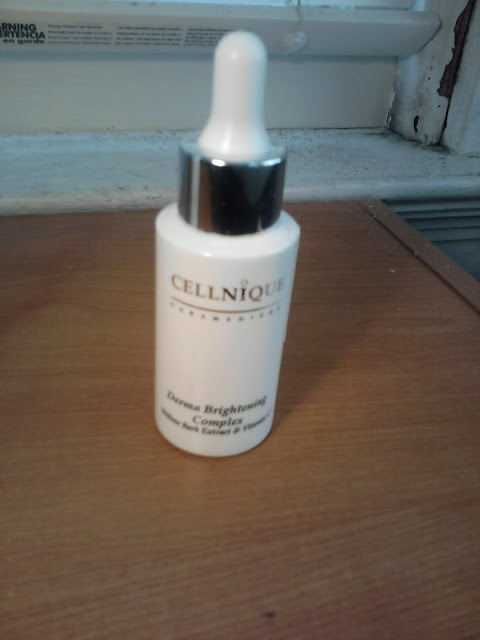 For more info, please visit Cellnique's website and Facebook. Have you vote for me yet? If not, I need your help! @Jessy: I will keep you updated! Great review hun!It sounds pretty amazing. I will definitely vote for you! Good luck! @Glo-w-: Thank dear! I will be sure to improve my picture quality a bit more in the future! @Vintage: Yes they are great products! 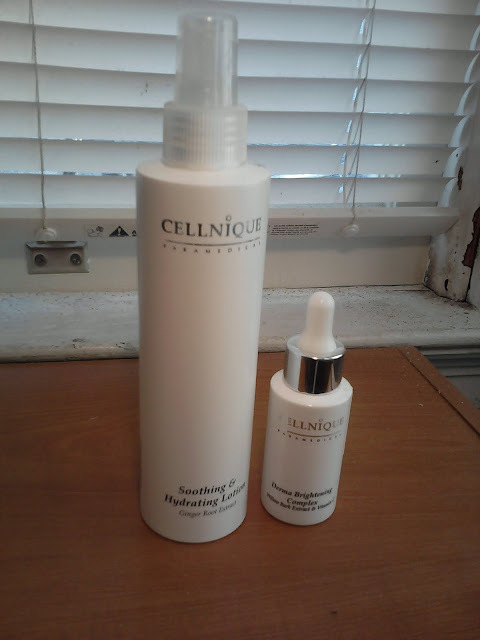 Wow, I've really been wanting to try Cellnique for a loooong time but their products are expensive!